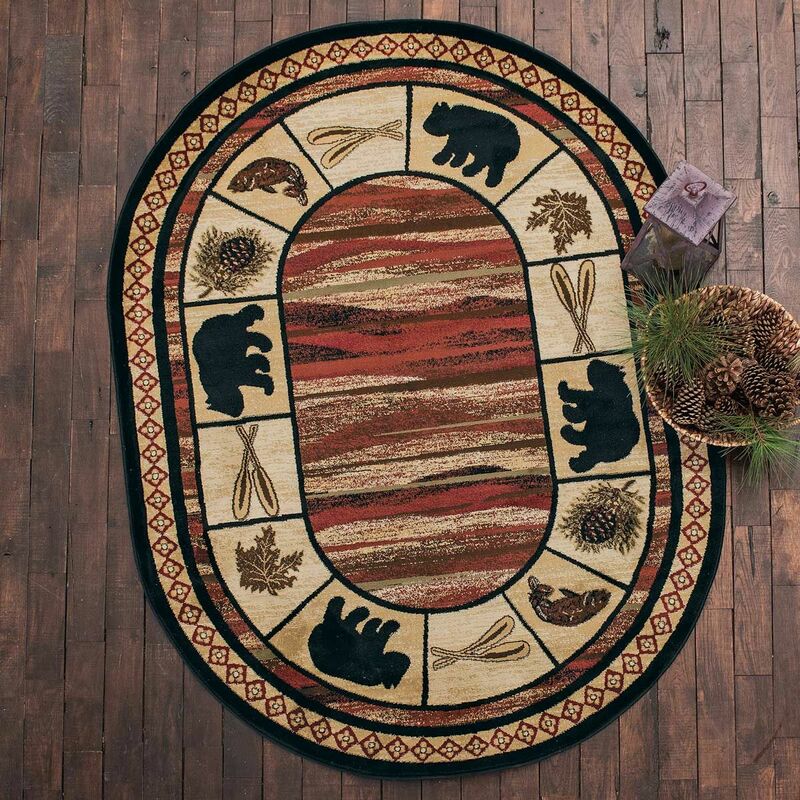 A Black Forest Décor Exclusive - This polypropylene rug with durable polyester backing gives your floors a warm, woodsy feel with outdoor icons on warm stripes. Spot clean. 7'10"W x 9'10"L.